When you stay at Catalina Beach Resort in Zihuatanejo, you'll be on the waterfront, just steps from Zihuatanejo Bay and La Ropa Beach. 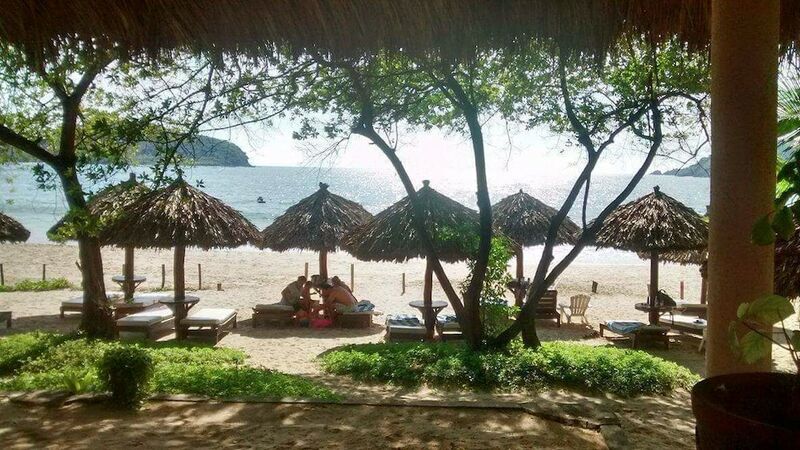 This beach resort is 0.8 mi (1.2 km) from Kioto Plaza and 0.9 mi (1.5 km) from La Madera Beach. Make yourself at home in one of the 45 guestrooms featuring refrigerators. Rooms have private balconies. Complimentary wireless Internet access keeps you connected, and cable programming is available for your entertainment. Bathrooms have showers and hair dryers. Relax on the private beach or enjoy other recreational amenities such as an outdoor pool. Additional amenities at this resort include complimentary wireless Internet access, babysitting/childcare, and tour/ticket assistance. Guests can get around on the shuttle (surcharge), which operates within 15 km. Pool access available from 8:30 AM to 10:30 PM.A resort fee is included in the total price displayed. Only registered guests are allowed in the guestrooms. The property has connecting/adjoining rooms, which are subject to availability and can be requested by contacting the property using the number on the booking confirmation.